Las Vegas & Henderson buyers I can make your home search easier and send you homes right when they hit the market! This Las Vegas Valley is on fire!! 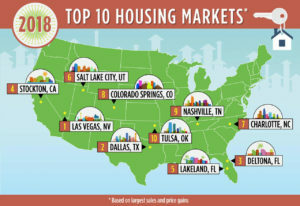 Las Vegas and has been ranked #1 in the nation for top housing markets by Realtor.com for 2018. The market is competitive so it’s more important than ever to have a realtor on your side that is on top of new inventory and constantly building their own inventory and pocket listings to share with you!! Lauren can make your home search easier and send you homes right when they hit the market and share with you her “inside tract” of homes that are not yet listed on MLS. Looking for deals that nobody else knows about? Click to view Pocket Listings! Purchasing Las Vegas or Henderson real estate is a great investment whether you are purchasing your first home, second home or are a seasoned investor. You still have the benefit of historically low Interest rates to lock in for 15-30 years. The market is changing, the demand is high and the supply is getting lower. Get into the Las Vegas and Henderson real estate market before prices start to rise! Fill out the form below with your search criteria and let her know what is important to you, what areas you are open to and up to what price range if you know.